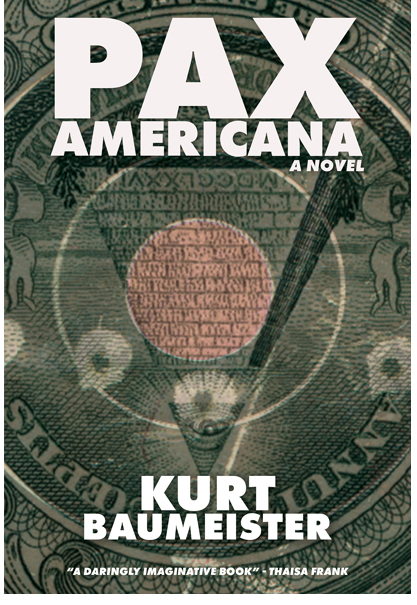 Kurt Baumeister talks about his jazzy new political thriller Pax Americana, spirituality, God, gods, writing and so much more. Plus, read an excerpt! I’m always thrilled when someone I know writes a novel that knocks my socks off–and Kurt Baumeister’s knocked my shoes off, too. It’s a political thriller and trust me, it’s that good. 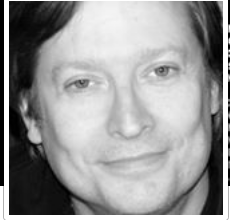 Kurt Baumeister’s writing has appeared in Salon, Electric Literature, The Nervous Breakdown, The Rumpus, and The Good Men Project. His debut novel PAX AMERICANA will be published in 2017 by Stalking Horse Press. A graduate of Emerson’s MFA program, Kurt lives in Virginia. Find him at http://www.kurtbaumeister.com. Thanks so much Kurt for being here. I always want to know what was haunting the author enough to write a particular book—so, what was haunting you? Religion, philosophy, spirituality, God, gods, the concept of the metaphysical—those are some of the things that animated my thinking about PAX AMERICANA. Over time, I’ve come to see these sorts of issues as simultaneously significant and absurd. Which probably explains why this book is satirical. I don’t see the metaphysical world as non-existent necessarily—though I am a skeptic—but to the extent that world does exist, I see it largely as unknowable. As far as religion itself goes, my feeling is you should go with whatever gets you through the night. If believing in a God (or Goddess or gods or goddesses) makes your life easier, that’s a good thing. As long as your belief doesn’t impose itself on the reality of others. Which, I think, is where the trouble usually starts. That’s the line we walk in America. How do you allow people to believe what they want without burdening others as a result of those beliefs? I think America’s founders were mostly inclined to favor religion, to see it as a good (even necessary) thing in and of itself. I also think they would have very different opinions today, knowing all we know. That’s not to say that a constitution written today would not have freedom of religion as a guaranteed right, but the ability to proselytize, to control the public square with your religion, the tax exemptions for simply being churches (rather than doing material good) would probably be curtailed. Other book-related hauntings: America, the corporate state, fast food, theocracies, advertising, the conservative bubble, nuclear war, New Orleans, Ian Fleming’s James Bond, animals, sports cars, silly names for products, people, and just about everything else. Man, Caroline, I am haunted by a lot. Writing a novel is like trying to get your way out of jungle with only a dull-edged butter knife instead of a machete. But there are surprises along the way. What were yours? And what kind of writer are you? Well, based on this example, I’d say I’m clearly the sort of writer who’d bring a butter knife to a machete fight. And I did. My god, did this book take me a long time. I wrote PAX AMERICANA as a more experimental novel first (though, it wasn’t called PAX AMERICANA then). By the time I was done with that draft, I had 130K words, 111 chapters, and seven narrators. So, basically, a pretentious mess. I cut the manuscript without much mercy, got it down to the 50K range then built it back up into something I hoped would be a bit more commercial but still retain some of the spoofy, satirical, metafictional feel I wanted. I suppose the most surprising thing about the book is how much of a transformation Diana Scorsi underwent from the first version to the final. Besides having a different name and a much more elaborate back story in earlier drafts, she was one of the book’s villains. Though, in my (fictional) world I try to muck around with concepts of heroism and villainy. And regardless of where I personally come down on each character, I try to give them enough autonomy to see themselves as the hero of their own story, even if they might not be the hero of mine. Your political thriller is so innovative, so fresh, that I’d love it if you’d talk about what is wrong with the traditional thriller (and what might be right.) And did you ever feel like you were breaking rules (and did you take great glee in that)? Thank you so much for saying that. Words like ‘innovative’ do my dark little heart good. I have a difficult time categorizing this book: lurching from literary fiction to slipstream, spy novel to satire, thriller to science fiction when I do try. I guess the best thing to say is that it’s a combination of all these; though that doesn’t make for a very concise pitch. To the extent this is a political thriller, I see it as a sort of anti-thriller. It’s not that I dislike the genre. I grew up watching James Bond save the world, and reading about it, too. This is more an anti-thriller in that many of the genre conventions serve satirical purposes and also in that the tropes of the hero serving God and country are very much in doubt. One of my great interests is politics. I suppose on some level this is an attempt to create a real political back story for a thriller, to fully engage with the politics that are usually held at arm’s length. Even though, ultimately, the politics here are satirical, too. The things I think the thriller genre does absolutely get right are its pacing, attention to plot, story, and dialogue. I think these more “mundane” literary virtues are often completely forgotten in “literary” fiction. A lot of people can write great sentences. (By a lot of people, I mean a lot of serious, professional writers.) But, can you do that, make the machine move, and still make people feel something (even if that something is only laughter)? That’s the real trick. What advice do you give other writers? I love giving advice to people. When they ask for it. But, as far as writing is concerned, I’ve come to believe the best thing we can do is accept that each person must walk their own path. This doesn’t mean you refrain from giving writing advice (and especially for teachers, this would be silly), but it does mean accepting your rules or precepts, or whatever you call them, may not work at all for someone else. For me, this particularly applies to art and craft (prose style, artistic vision, use of symbolism, etc.) as opposed to the business side of things (how to deal with submissions, agents, publishers, and booksellers, etc.). In my experience, the worst writing teachers are, unfortunately, also the most dogmatic. Like tourists lost in a foreign land, they shout the same words louder and louder in the careless certainty everyone will eventually understand. And they may, in fact, have cracked the code for themselves. Which is something to applaud. But the truly universal in the teaching of art? The inviolable, infallible truth? To me, that doesn’t exist. Except for one thing: “Does it work?” This makes for a lot of trial and error, but for me, it’s the only way to go. The election, no question. It’s miraculous how every four years we forget everything we’d learned four years before. During primary season, we spend so much time fighting over relatively small differences, making them out to be far greater than they are. Then, during the general election every candidate heads for the middle at light speed. Probably the most interesting part is how obvious things seem in retrospect and how unobvious they are as they happen. Obama didn’t beat Romney by a lot. He didn’t beat McCain by a lot. The country is fairly evenly divided. So, even though a candidate like Trump or Clinton may seem so absolutely ridiculous, so unsupportable, to those of us on the other side, it doesn’t necessarily seem that way to the small group of people in the middle, the ones who actually decide our elections. Even landslide elections (Nixon-McGovern, Reagan-Mondale, Bush-Dukakis), results that seem so certain in retrospect, really weren’t. If we accelerate the timetable for something like Watergate or Iran-Contra, those elections’ results might have been starkly different. The idea of alternate histories fascinates me and no doubt an alternate reality in which the George W. Bush Administration was a complete success (for all the most horrible reasons) is central to PAX AMERICANA. KGB (as CL): Are there more where this came from? KGB (as KGB): More books, you mean? Please mean more books. KGB (as KGB): Definitely. Right now I’m working on a mythocomic crime fantasy called LOKI’S GAMBIT. You’d rightly draw the conclusion that it has something to do with Norse mythology, that the god Loki is, in fact, the narrator and protagonist, though it’s set in the modern world and there are a few twists (most important Loki’s “good,” sort of). The challenge has been to write away from AMERICAN GODS, a book I hadn’t read until long after I started working on LOKI’S GAMBIT. I do think I’m accomplishing that—writing away from Gaiman’s book—though to make that work I’ve had to move most of the story to Europe. Which makes sense since the story was always about World War II, Nazi gold, modern conservatism, and the evolution of the Norse gods. As for PAX AMERICANA, this book is indeed the beginning of a trilogy. The other volumes, for which I have plenty of material, are tentatively entitled VIRTUAL JERUSALEM and THE GODS OF HEROES AND VILLAINS. I’m also about halfway through a poetry collection. Hunter’s office was its usual seventy-two degrees, arid, and suffused with the same bronzed mixture of subterranean darkness and simulated daylight, the artificial shadows, that permeated HQ. Tuck sat in one of Hunter’s rust-hued, industrially-upholstered, government guest chairs staring across a desk arrayed with official gifts, piles of paper, and—he knew—more than a few camouflaged weapons. One in particular had caught his eye—a brass chimp just a little taller than the Captain Christianity action figures he’d played with as a boy. Armed with a scimitar in one hand and an American flag in the other, the little guy looked fully capable of striking with either mitt. Gas might pour out of his mouth, a poisoned dart shoot from his belly button…You never knew, and that was the point. Abu Yashid was always trying to take out Hunter, and there were security features everywhere. It made sense to stay alert, to make sure one of those security features didn’t go off in your frickin’ face. Still, Tuck couldn’t help feeling a little wistful as he looked at the chimp, as he remembered that grand, old Captain Christianity set-up he’d had in his second playroom at Black Briars—the dark castle of Christo Antares, the mountain fortress of Diabolus, and the sparkling citadel of the Captain himself. He thought of the tiny wars of good and evil he’d waged in that room, preparing for the day when he’d be able to begin the real war of good and evil, his crusade to reclaim his father’s memory from the jihadis who’d murdered it. “Again?” Hunter scowled as she looked up from her tablet. Even though she was in her late fifties, Tuck had always found Hunter compelling. She radiated power, raw strength and the will to control it. What might once have been the face of a cheerleader was scored with lines now, the only thing you might still call pretty Hunter’s blue eyes. Like a deep sea somehow brimming with light, they always distracted Tuck, left him thinking of America and feeling as though Hunter was special. And she was. Even though Hunter wasn’t a true Traditionalist, she’d survived and kept her power through many administrations. Tuck was sure she knew where plenty of skeletons were buried. He was also sure that Raglan and Thunder Vance, his Secretary of Homeland Security, wanted Hunter out. They just hadn’t figured how to do it yet. “Again?” Tuck parroted, careful to keep the chimp in his field of vision. Tuck scanned his memory for anything important that had happened lately. All there’d been was Brussels—a flight there, a flight back, and a lot of babysitting in between. He raised his eyebrows, smiled a little more fully, and waited. When Hunter didn’t add anything, Tuck considered the possibility that she was messing with him. Maybe her scowl was just a trick to cover the fact that she was going to give him his promotion. He decided to take a chance, backing his chair out of the chimp’s line of sight just in case. Hunter glanced at her screen. “The name, Hadara Telka, doesn’t mean anything to you?” She slid her hand across the desk, rested it near the chimp’s base, and smiled. “Unfortunately,” Tuck said, nodding sadly. Hunter sneered and tapped the voice button on her tablet. Her assistant, Lexus, picked up. “Clarion?” Tuck watched as former top agent and current disgraced desk jockey, Ken Clarion, entered the room. Well into his fifties, Clarion was several inches shorter than Tuck. Good looking in a menacing way, he reminded Tuck of a seventh banana from one of those 90s gangster comedies, the vaguely charismatic one who winds up being a secret psychopath. Salt and pepper hair, at least a day of beard; black, rack suit—Brooks Brothers at best—and gas station Wayfarers. His look might have been right for the manager of a nightclub in the 1980s, but it was all wrong for a representative of the greatest nation on the face of the Earth. “Director,” Clarion said. He crossed the room, gave a curt nod as he took the seat next to Tuck. Tuck and Clarion had met before. First, in an Advanced Procedures seminar at the Academy when Clarion had given Tuck a B- on his final, left him sweating for days about being thrown out. Next, they’d crossed paths in the cafeteria; Tuck nodding coolly, Clarion with that bemused expression on his face, as if he was surprised Tuck was still with the Bureau. Still, Tuck knew enough not to discount Clarion. He’d been good, maybe more than good, once upon a time. But a series of divorces, wrecked cars, and drunk tanks had killed his career as a field agent. Clarion was tight with Hunter, and had been for decades—they’d gone to the Academy together in their twenties—that was the only reason he’d managed to stay with the Bureau. “Clarion’s your new partner,” she said.